This bunny craft is the perfect Easter or Spring craft for kids! 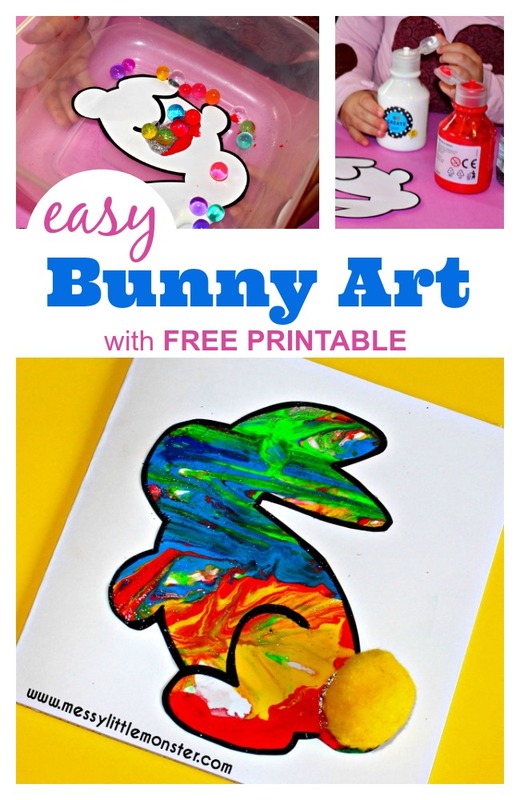 Toddlers and preschoolers will love making bunny art using water beads, paint and our free printable bunny template. 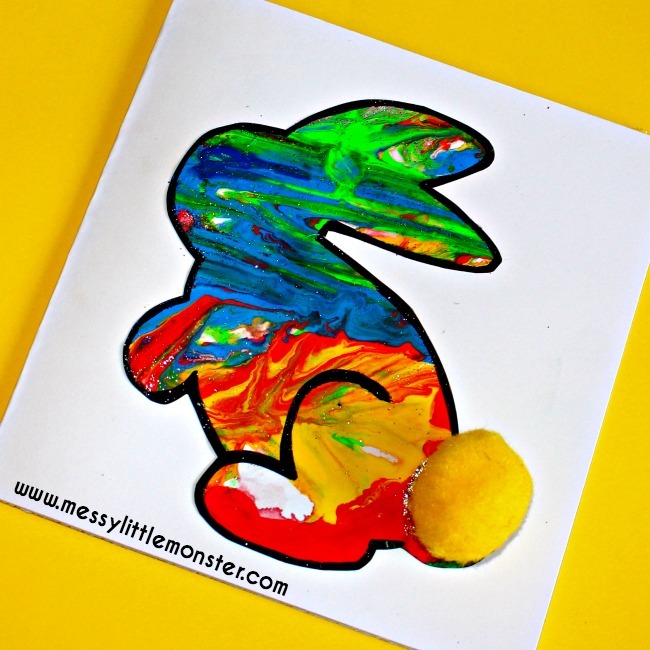 The fun painting technique used to make this bunny rabbit craft is so much fun and it can even be mess free if you use a lid. Have fun! 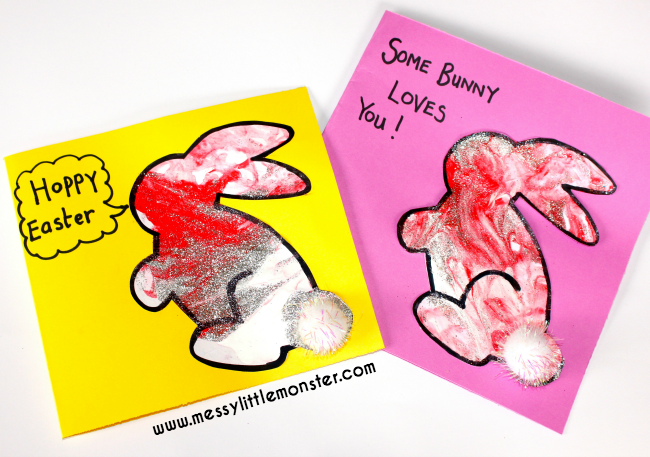 If you are looking for more bunny craft ideas take a look at our homemade bunny crayons or footprint bunny card (with free printable template). Here are some more bunny craft ideas. This bunny rabbit craft is perfect for this time of year as we think about Easter and start to get outside more. 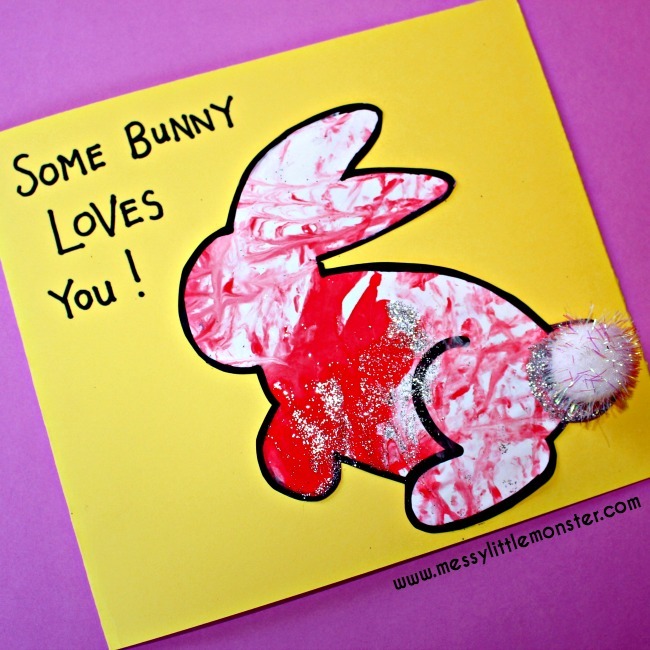 Add the words 'Hoppy Easter' to your bunny craft and it would make a great Easter card, or add the words 'some bunny loves you' and it would be perfect for Valentine's day or Mother's day. The printable bunny template makes setting up this bunny craft super easy. Before starting this bunny craft you will need to prepare all your supplies. 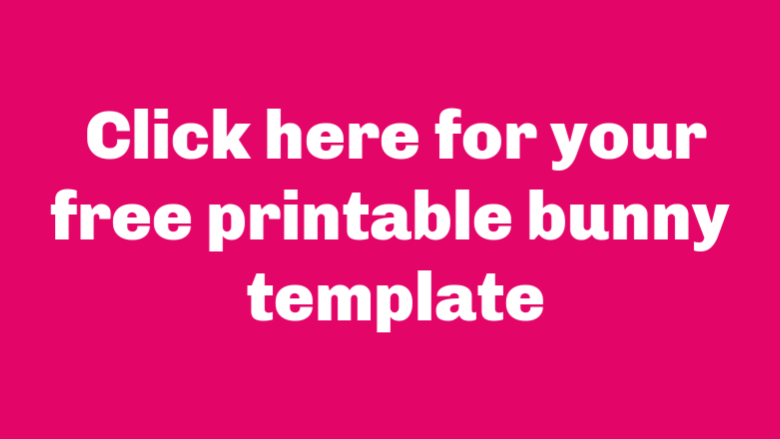 Print off the bunny template that is available at the bottom of the page and cut it out. 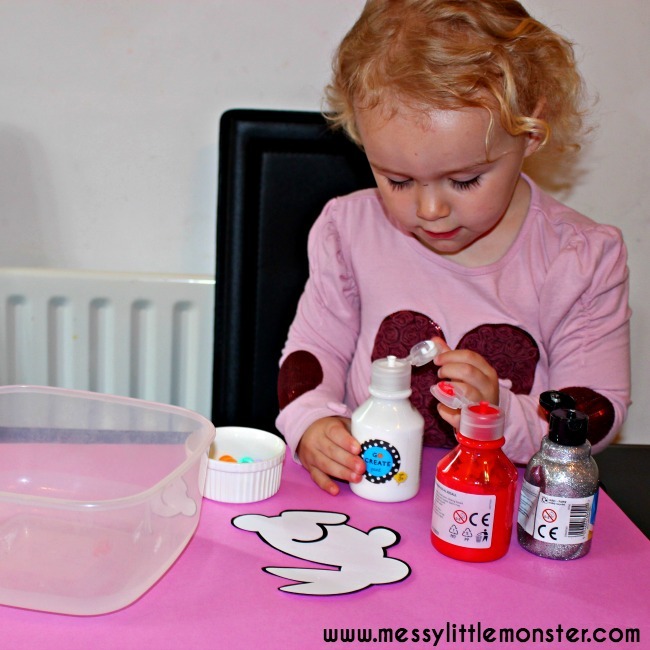 Let your toddler or preschooler choose a few paint colours that they would like to use for this art activity. Place the cut out bunny template into a small container. 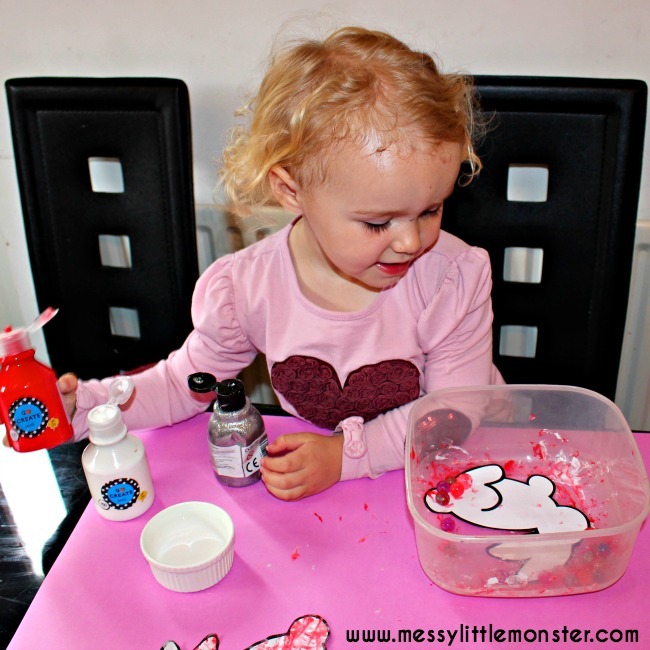 Squirt paint in your chosen colours into the container on top of your bunny image. 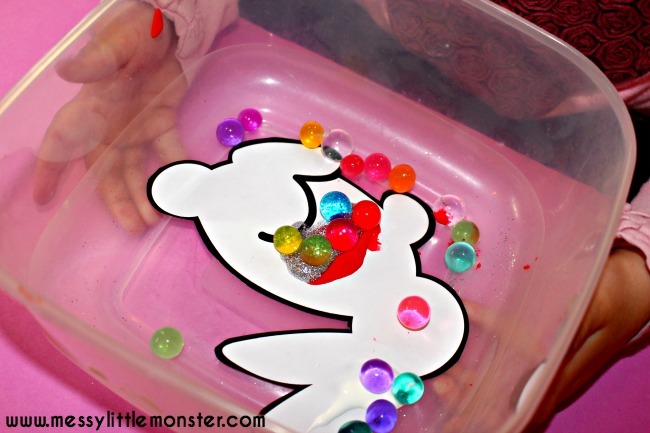 Tip in a few marbles or water beads and shake the container backwards and forwards. As you shake the container backwards and forwards the paint will be spread across the bunny image creating a marbled effect. Add more paint if needed. Have fun experimenting with different colour combinations. Take the bunny out of the container and leave it to dry. Complete your bunny craft by gluing a pom pom on as a tail. These bunnies make really cute greeting cards. They are perfect for Easter time with a 'Hoppy Easter' message or to be made as part of a Spring craft project. Add the message 'some bunny loves you' and they would make very well received Mother's Day cards or Valentine's Day cards. 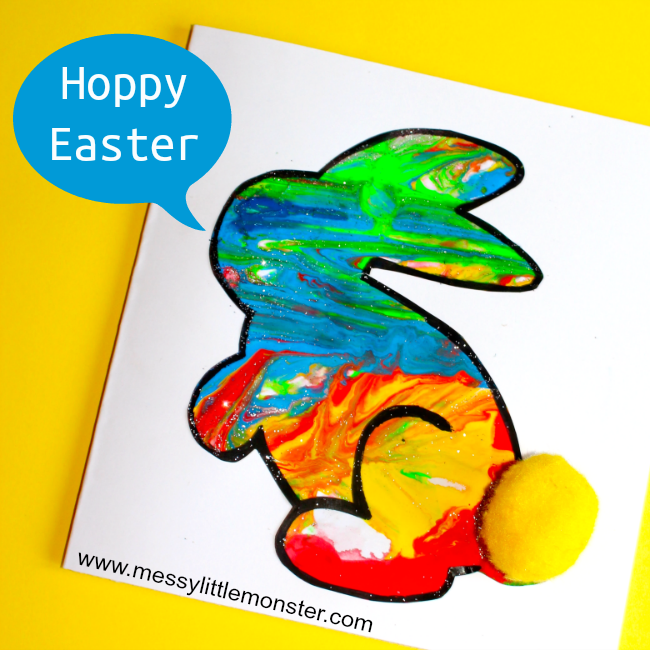 To download this bunny printable for free click on the link below and add $0. For personal use only. Not for redistribution. All images are copyrighted. Thank you. We hope that you enjoy this fun bunny craft and that the printable bunny template helps make it super easy for you to set up. It is such a fun Spring craft for kids and the painting technique used is guarenteed to be popular with toddlers and preschoolers!